Vivo has been the frontrunner this year in innovating new technologies. 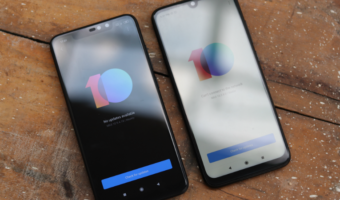 First, it was the in-display fingerprint scanner, and now it’s time for a Full Screen display smartphone with sliding front-facing camera and a whopping 91.24% screen-to-body ratio. Remember the Vivo APEX concept smartphone which the Chinese company showcased at the MWC 2018? Well, the same smartphone is now available for purchase as Vivo Nex and Vivo Nex Ultimate. 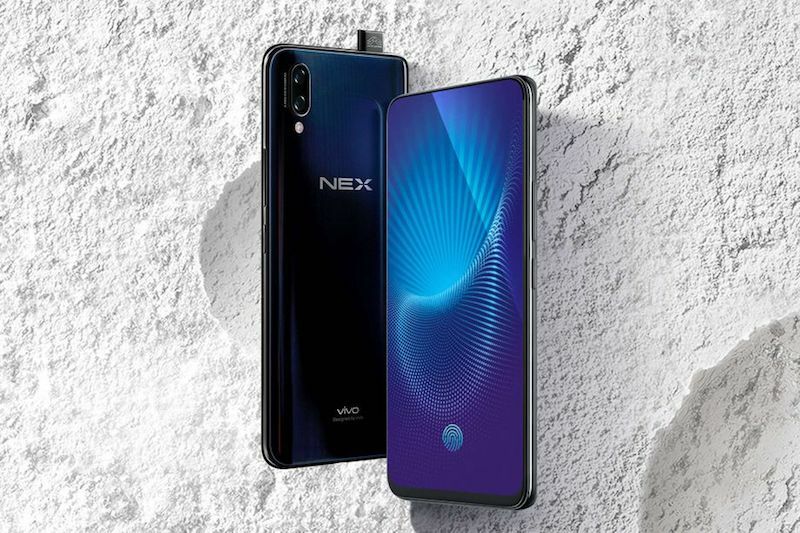 As the name itself suggests, the Vivo Nex is a standard mid-range smartphone and the Nex Ultimate is a flagship smartphone, but both the devices differ only in terms of the chipset and RAM, storage options. Let’s dive in and check out the specifications of both the devices. As mentioned, the Vivo Nex and Nex Ultimate smartphones differ only in terms of chipset, RAM and storage. Let’s get that straight out of the bat. The Vivo Nex is a mid-range smartphone powered by the Qualcomm Snapdragon 710 chipset, whereas the Vivo Nex Ultimate gets the more powerful Snapdragon 845 chipset. 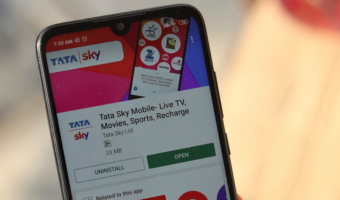 The Nex comes in a single 6GB RAM and 128GB of internal storage, while the Nex Ultimate comes with 8GB of RAM and either 128GB/256GB of internal storage. There’s no microSD card slot inside the smartphone. Moving onto other features, the Vivo Nex smartphones sport a 6.59-inch Full HD+ Super AMOLED display. 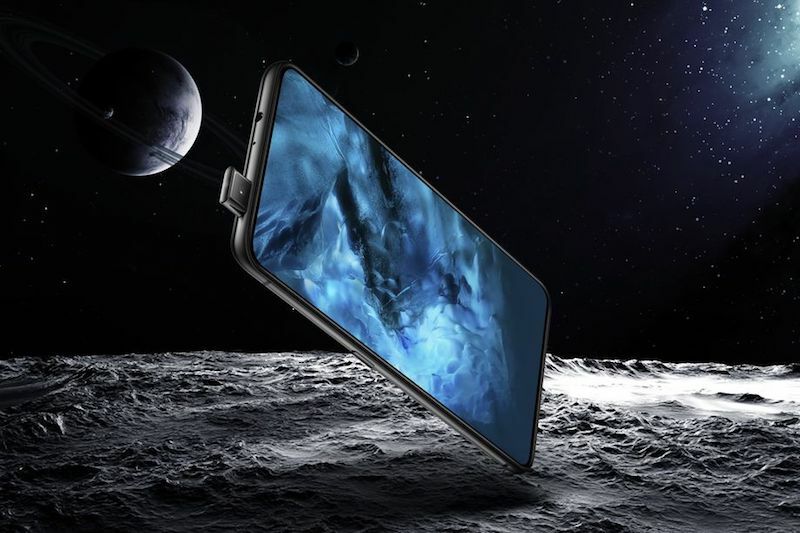 Vivo has managed to achieve an insane 91.24% screen-to-body ratio, which no other manufacturer achieved in the past. Vivo has managed to do that by adding a sliding front-facing camera module and replacing the earpiece with Cantilever Piezoelectric earpiece, same as the Xiaomi Mi Mix. When Xiaomi launched the Mi Mix, everyone said the earpiece was a massive letdown, it will be interesting to see how the Vivo Nex gets its reception from the crowd. Sensors such as Proximity and Ambient Light are all placed below the display. Cameras in the smartphone include a 12MP Sony IMX 363 primary shooter on the back which is paired with a 5MP secondary shooter. The rear camera offers EIS, 4-axis OIS and has support for the dual pixel autofocus technology. An 8MP front-facing camera with f/2.0 aperture is present on the front. The Vivo Nex Ultimate has an in-display fingerprint scanner, while the standard Nex gets a rear-mounted scanner, which isn’t a surprise. The phone is armed with a 4000mAh battery with Quick Charge 3.0 support and the device has a USB Type-C port. 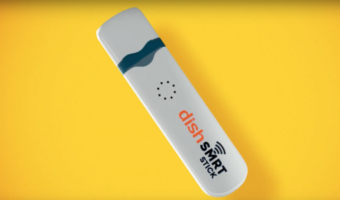 Connectivity options in the smartphone include Wi-Fi 802.11 b/g/n/ac, 2×2 MIMO, 4×4 MIMO LTE, Bluetooth 5.0, GPS, USB OTG and USB 2.0. The device measures 8mm in thickness and weighs 199grams. Vivo has also revealed the pricing for both the models. The Vivo Nex comes in two colour options- Diamond Black & Diamond Red, and it will be available at a price of 3899 Yuan (approx. Rs 41,000). The Nex Ultimate comes at a hefty price tag of 4498 Yuan (approx. Rs 47,250) for the 128GB storage option, whereas the 256GB storage option costs 4998 Yuan (approx. Rs 52,500). There are some rumours that Vivo will be launching these devices in India next month and the upcoming Oppo Find X handset might look similar to the Vivo Nex. I’m waiting for Oppo Find X. Find 7 was awesome, but it was 2014 era, and Snapdragon 801 is kinda outdated. It’s a good thing that Oppo is reviving the Find series once again. I’ve been waiting for them to release a Find 9, but instead they decided to make it Find 10. My only hope is that Find X comes with a card slot, hopefully a dedicated card slot as Find 7 had a dedicated card slot, but just single sim. Dual sim phones were there back in 2013. Looks gr8 but something would definitely stop me from putting more than 25k on a chinese phone. Lets see how long the nex lasts with users before id invest on vivo.